HARLEM, Manhattan (WABC) -- A community in Manhattan came together on Thursday night to honor the memory of a boy who was killed in his Harlem home. 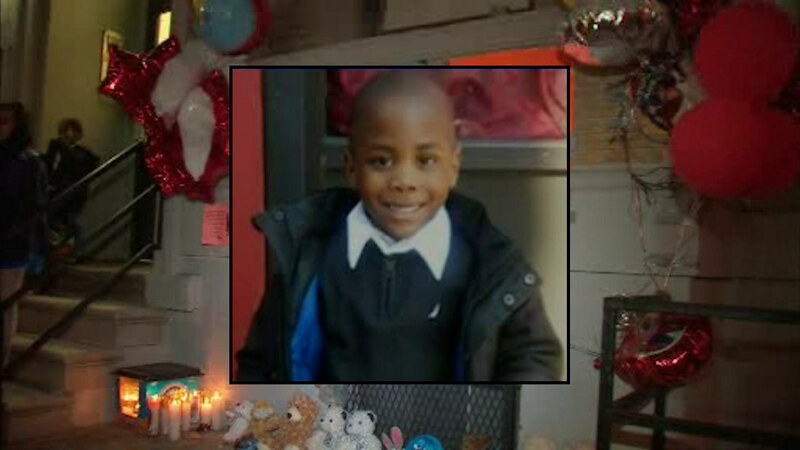 Community members and classmates of 6-year-old Zymere Perkins attended a vigil outside his home on West 135th Street. The boy was found unconscious inside his home on Monday afternoon after police say he was beaten to death with a broomstick by his mother's boyfriend, 42-year old Rysheim Smith. Smith and Zymere's mother, 26-year-old Geraldine Perkins were arraigned in connection with his death on Wednesday and charged with endangering the welfare of a child.